It was a long weekend and the snow and cold had returned. On the Saturday, I decided to make another try for the Green Heron at Brydon Lagoon in Langley. 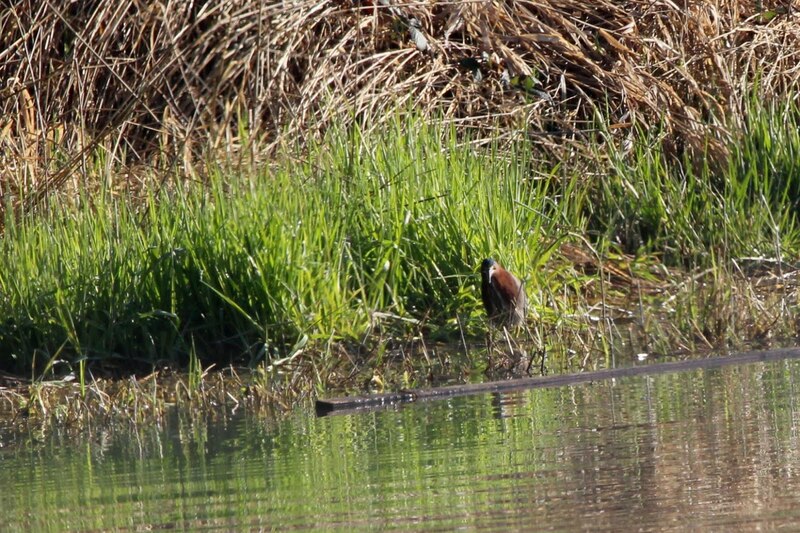 After parking and walking along the path towards the lagoon, I saw the birder who had reported the Heron. He was looking up into a tree and I caught a glimpse of a large bird just as it flew. He confirmed it was the Heron. This was a very unsatisfying 2017 Bird # 60. I did not get a photo, so I've posted one I took at Brydon in 2014. I didn't get a very good look at it then either. 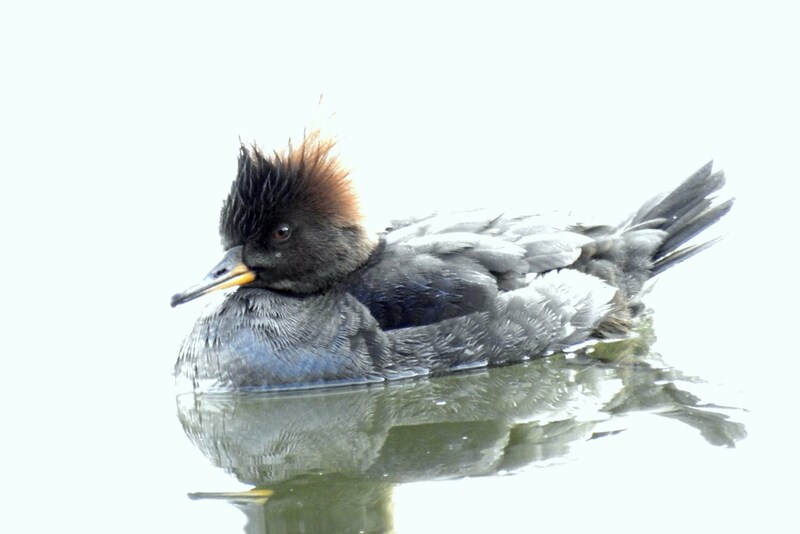 The lagoon was still frozen in some places, but there were some ducks other than Mallards present, including Common Mergansers. The males in the background are easily identified. 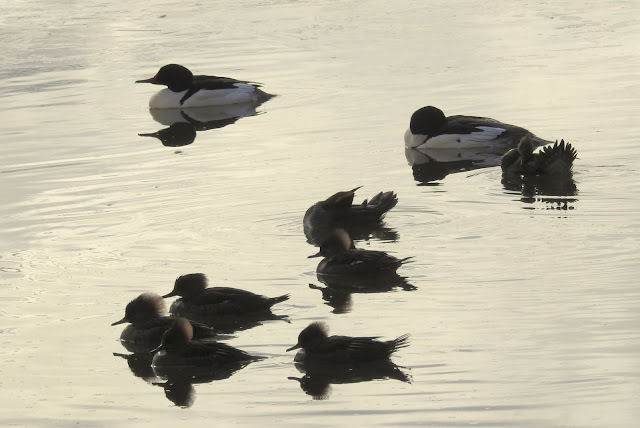 At first I thought the other ducks were female Hooded Mergansers, which didn't make sense. Upon review at home, I found out that they were first winter Common Mergansers. Here's an adult male by itself. 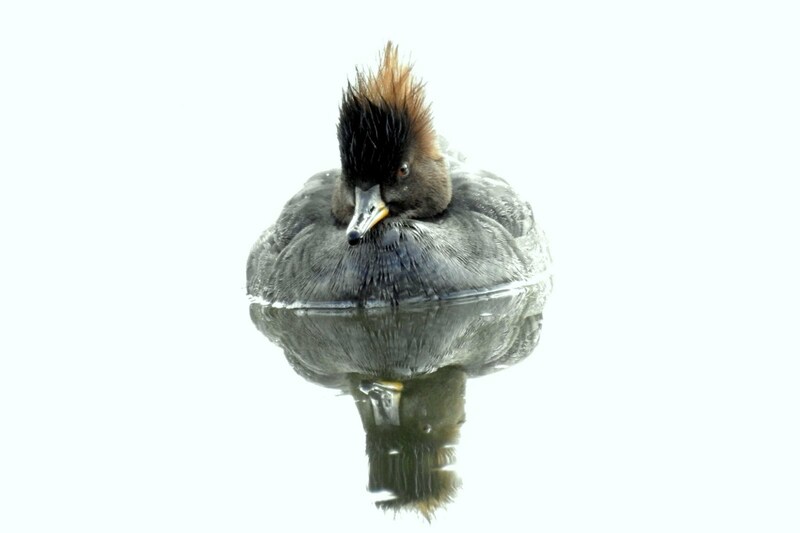 With the Nikon I took a couple of artistic shots of a younger bird. 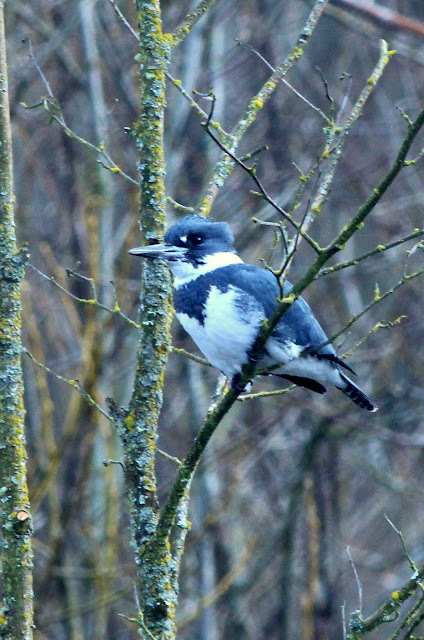 At the end of the lagoon I heard the loud call of a Belted Kingfisher. 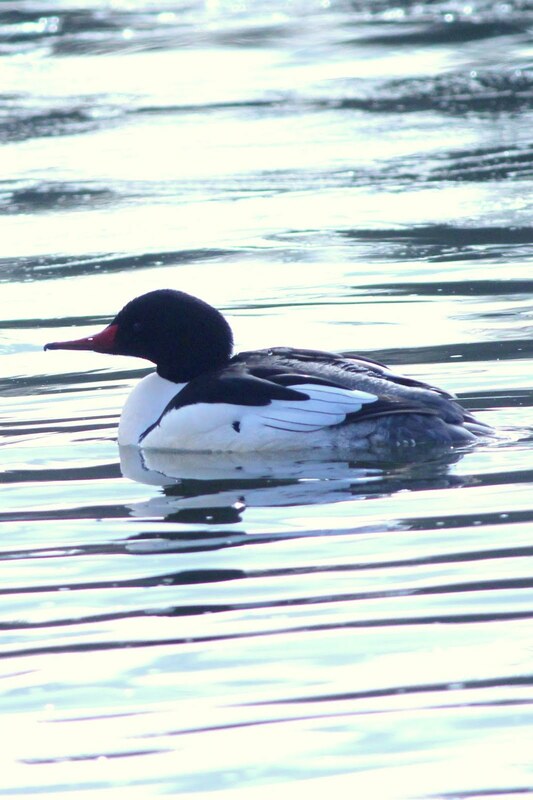 This one was a male as it was absent the reddish-brown markings on the neck and breast. 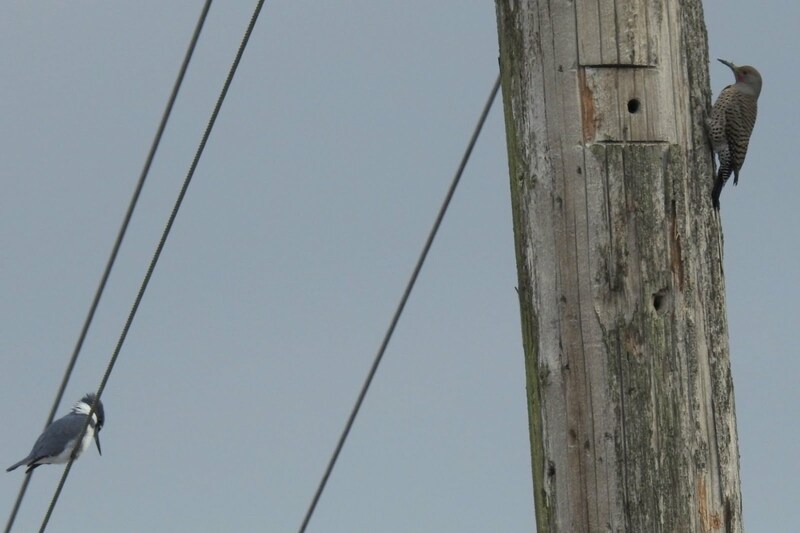 The Kingfisher flew to a telephone wire. I noticed another bird on the telephone pole. I don't imagine these two birds are seen together very often. The Kingfishers are always aware of you and will keep a certain distance. 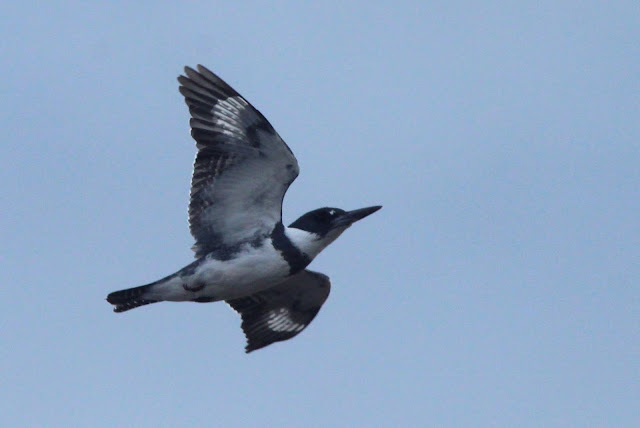 At one point I approached too closely and it flew over me and landed farther away. 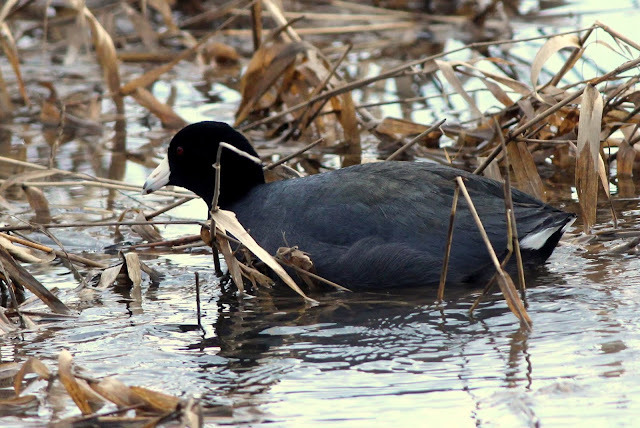 As I was leaving, I stopped by a flooded field and got a close-up of this Coot. 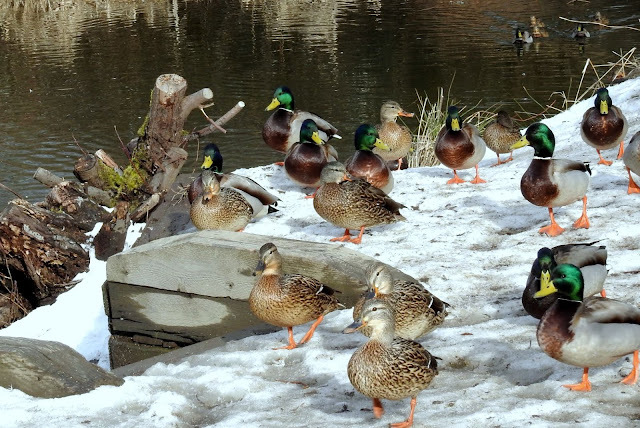 I popped back to check out the entrance to the Lagoon one more time but it was occupied only by Mallards. So ended day 1 of the long weekend, the other two would be more productive.